This is a plant that should be growing in everyone’s garden! This is a popular, fast growing plant that has been in cultivation for well of 70 years. The common name is Blueberry Ash, because it produces many small bright blue berries about one centimetre in diameter after flowering. 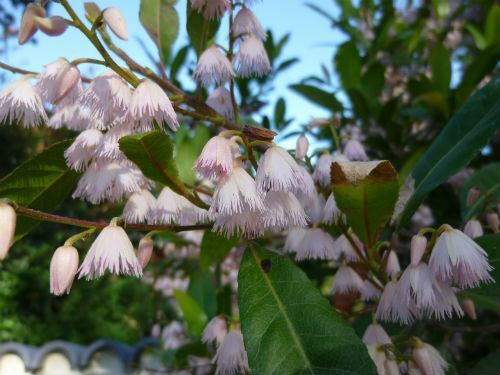 I planted my first Elaeocarpus reticulatus plant over twenty years ago in my garden in the northern Sydney suburb of Westleigh and have found it to be a hardy plant. 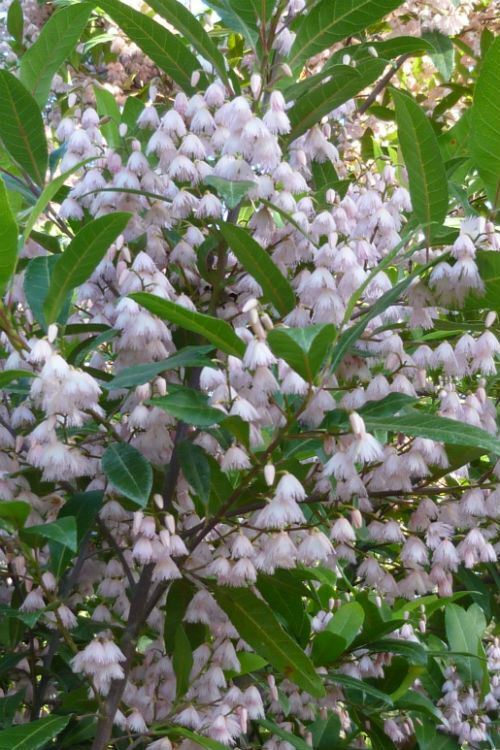 My original plant has white flowers and I have now planted more of a pink flowering form that you will find in nurserys under the name of ‘Prima Donna’. 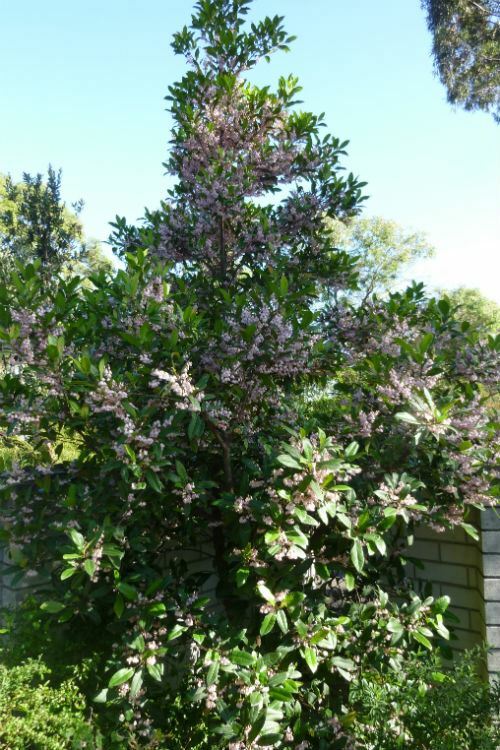 Both flowering forms can grow to about eight metres high and about three metres wide in a suburban garden, but usually less. 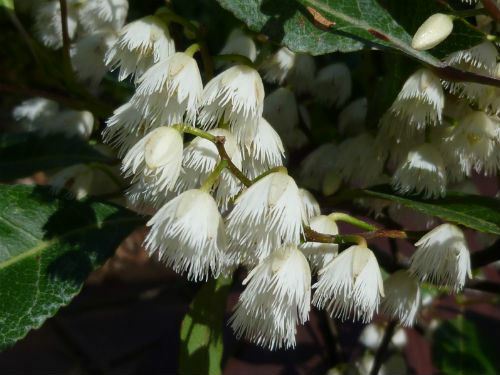 In November, the plant is covered with a mass of fringed bell shaped flowers – a very attractive sight. My plants are mulched and are growing in a thin layer of topsoil over a clay sub soil. I have found they respond to well to native plant fertiliser and in dry periods I give them some additional watering especially when young. They flower more freely in full sun than in the shade and are tolerant of different soil types provide the drainage is good. I recommend them for a tall screen plant. If you select one with a single leading shoot they will not grow very wide (about three metres or so in diameter) so they can be planted quite close together. If necessary they can be pruned to maintain them at a lower height although this tends to spoil its attractive shape. I have noticed that many local councils are now using this plant as a street tree.